As I mentioned earlier, I paid a long-overdue visit to the North West last week, visiting smaller towns such as Prescot and St Helens as well as major centres such as Liverpool, Wigan, Preston, Lancaster and Blackpool. It’s certainly given me plenty of inspiration and material for future blog posts over the coming months, including (as you would expect) plenty of photos of ex-Woolworths stores. Of the ex-Woolies that I visited, the store in Fleetwood (store #613), on the Flyde coast, is perhaps the one that most conforms to the traditional appearance of a pre-war purpose-built Woolworths. Opened, according to Woolworths’ company records, at 183 Lord Street on 10 May 1935 – 77 years to the day before my visit – it was apparently extended two years later and modernised in 1967, finally closing its doors on 6 January 2009 in the wake of Woolies’ collapse. Its frontage is remarkably similar to other 1930s Woolworths that I’ve blogged about before, such as the store from a few years earlier in Cirencester or the one not far from here in Bishop Auckland. Like quite a number of ex-Woolies sites elsewhere, the Fleetwood store is already on to its second post-Woolies occupant. In 2009, the North West-based discount fashion retailer Steals opened what was perhaps slightly grandiosely referred to as a ‘flagship’ store there, only for it too to close a few months later. 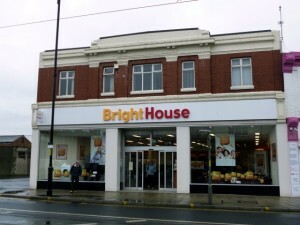 Not long after that, in July 2010, the premises were taken over by the weekly payment store BrightHouse, which has traded there ever since. As I noted back in 2009, I’m not a huge fan of weekly payment stores as Woolies replacements, as I feel that they lack the footfall-driving capacity of a fashion retailer or a variety store. 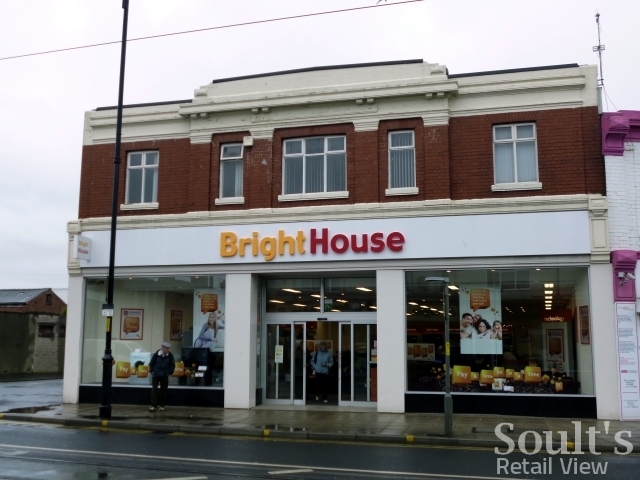 However, there’s no disputing that the model is successful at the moment: BrightHouse’s store count is growing by 20-25 shops a year and currently stands at nearly 250 stores, while rival PerfectHome has 47 shops, mainly in the North. 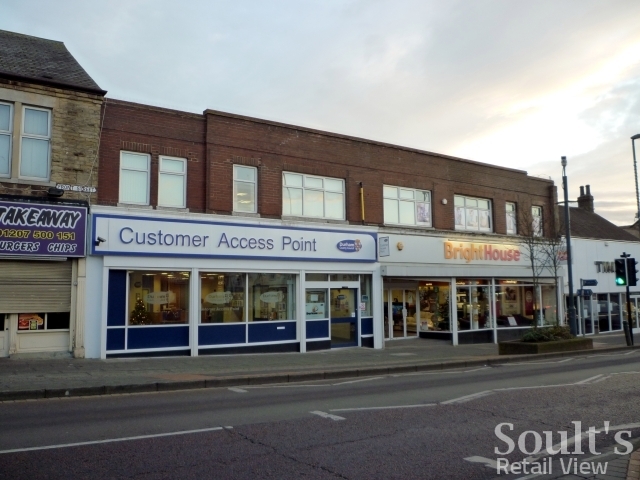 Both have mopped up some ex-Woolies sites in the North East, including PerfectHome in Blyth and BrightHouse in Consett (below). 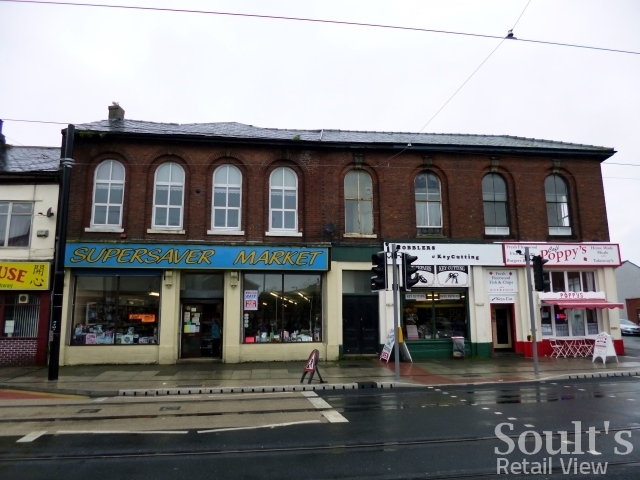 Back in Fleetwood, however, 183 Lord Street is not the only building with a Woolworths history – though you have to dig hard to find any mention of the other one. Indeed, the first reference I found to Fleetwood’s ‘phantom’ Woolworths was on the chain’s 1957 property list. 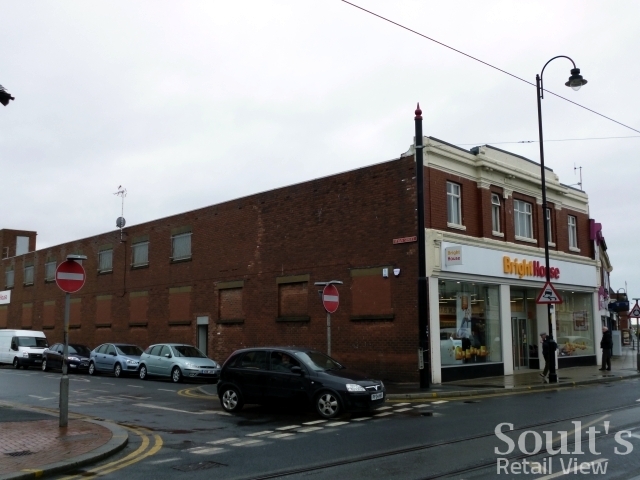 Underneath the leased Lord Street premises – which are listed as store #613 ‘location 1’, with a leasehold value of £17,000 and an annual rent of £85 – another leased store, at 9 North Albert Street, is listed as store #613 ‘location 2’, with a leasehold value of £2,500 and an annual rent of £3. Today, this address seems to correspond to the town’s Supersaver Market household store. We know, however, that Woolworths continued to trade from Lord Street until its demise half a century later, and there’s no evidence I’ve found that it ever went on to actually occupy the North Albert Street premises any time after 1957. Had it done so, while still occupying Lord Street, the additional shop would normally have been given its own store number, but there’s nothing in the records I’ve seen to suggest that Woolies ever traded simultaneously from more than one Fleetwood location. So, what’s the story? 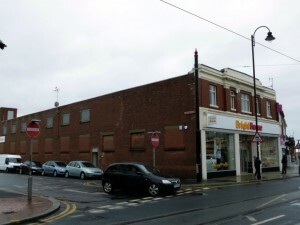 One online account suggests that Woolworths’ opened its first Fleetwood store in the North Albert Street property, taking over the premises from Horsleys furniture store (it’s not entirely clear when) at the point where a footfall-driving tram stop was planned for directly outside the shop. 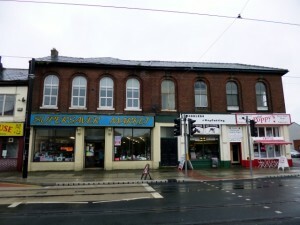 This account explains that in the end, however, the tram stop was instead built further along the street, “so Woolworths only stayed a couple of years and then went into new premises on Lord Street”. This sounds plausible, and it could be that the 1937 ‘extension’ referred to in Woolworths’ company records – exactly two years after Woolies first traded in Fleetwood – was really a ‘relocation’; indeed, the records have been known to make this mistake before. If that’s the case, however, why would the long-vacated North Albert Street site still be featured on the 1957 property list? And why would it be listed as ‘location 2’, inferring that it was a second location rather than a superseded one? Whatever the true details – and I’m sure we’ll piece them together before long – it’s certainly an intriguing story: of a Woolworths that only existed for a couple of years if, indeed, it ever existed at all.